Disney casting directors are searching for a male child actor to star in 'A Wrinkle in Time'. UPDATE 09/29/2016: Click here for the new updated post. The official Disney talent search for ‘A Wrinkle in Time’ in now underway. 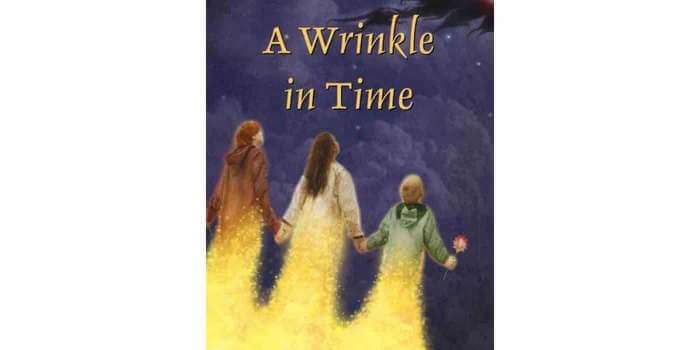 Walt Disney Studios Motion Pictures will begin production on the family adventure fantasy feature film “A Wrinkle in Time” this coming Fall, 2016 and the casting team is searching for three young actors to play the lead roles. Disney has scheduled in-person open casting calls for Sunday July 31, 2016 and Monday August 1, 2016 in Boston, MA. “A Wrinkle in Time” will be directed by Golden Globe Award nominee Ava DuVernay from an adapted screenplay written by Academy Award winner Jennifer Lee, based on the multiple award winning novel of the same name by Madeleine L’Engle. 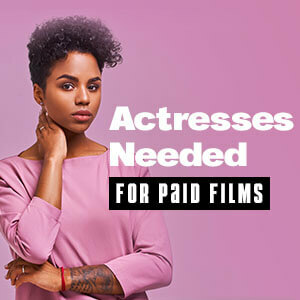 To be considered talent MUST have legal eligibility to work in the entertainment industry in Los Angeles, CA where shooting will take place. Details below. The casting team for the Walt Disney Pictures feature film “A Wrinkle in Time” is currently conducting an international talent search for three young talents to play the lead roles. Please bring a headshot and resume OR a photo and bio. MEG – Female, must be 13 – 16 yrs old to play 14. Must be mixed-race (Black/Caucasian or Black). Despite being pretty, Meg is troubled, belligerent, yet pretty and intelligent. She possesses an inner beauty that is clouded by the traumatic effect of the disappearance of her beloved scientist father when she was 9. Now rebellious, she hates herself, believing that no one could love her with the exception of her mother and 5 year old brother. At 14, Meg only wants one thing in the world–to find her father. Despite her flaws, we like Meg and we are rooting for her as she, her brother and new friend Calvin take off on an intergalactic journey where Meg discovers her inner warrior and the powerful strength of pure love. LEAD ROLE. CHARLES WALLACE – Male, must be 5-7 yrs old to play 5. Must be mixed-race (Black /Caucasian or Black) He is EXTREMELY intelligent and articulate, much older than his years, like a well-read college professor trapped in the body of a 5 year old. Despite his youth, he is a strong, brave soul, delightful, sweet, innocent and loving. Someone we fall in love with. Like Meg, he undergoes a life-changing transformation during their intergalactic journey. LEAD ROLE. CALVIN – Male, must be 15 – 17 yrs old to play 16. Can be any ethnic minority (i.e., Bi-racial, Asian, Hispanic, Middle Eastern, Eastern Indian, Native American, NOT CAUCASIAN). Handsome, fit, genuinely sweet and caring, an empath, a decent young man who effortlessly does the right thing, Calvin is a student at Meg’s school who’s smitten with the prickly Meg, seeing in her a strength and vulnerability she doesn’t know she has. From a troubled family himself, with a difficult, verbally abusive father, Calvin likes Meg’s home, which is warm and cozy with her mother and little brother, Charles Wallace. Calvin winds up going on Meg and Charles Wallace’s inter-planetary journey to find their father, along with the three astral ladies, Mrs. Whatsit, Mrs. Who and Mrs. Which. Calvin proves to be a strong, reliable, and loving addition to their adventure. LEAD ROLE. If you are unable to attend the open casting call, you can submit a current color headshot (and resume if available), along with your full name, parents/legal guardians full name(s) and contact information including phone number(s), the location where you live, and NAME of the role for which you wish to be considered.